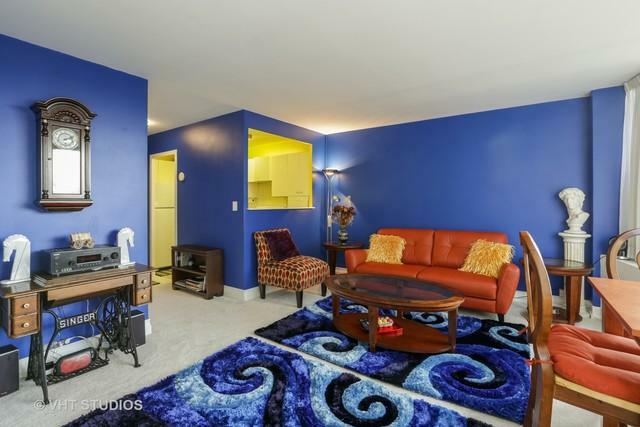 Magnificent rehabbed unit in premier Sheridan Rd building. 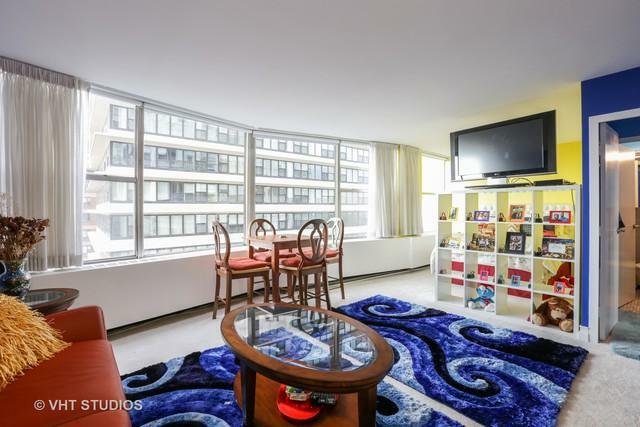 Located in prized "G" tier, featuring exquisite views of BOTH the Lake and Hollywood beach! Newer fridge, stove, floor in the kitchen and carpet in living room. Bathroom is one of the few units with a separate heating unit. Kitchen has been remodeled with an opening to the living room for more spaciousness. This extremely large efficiency is big enough for a king size bed. 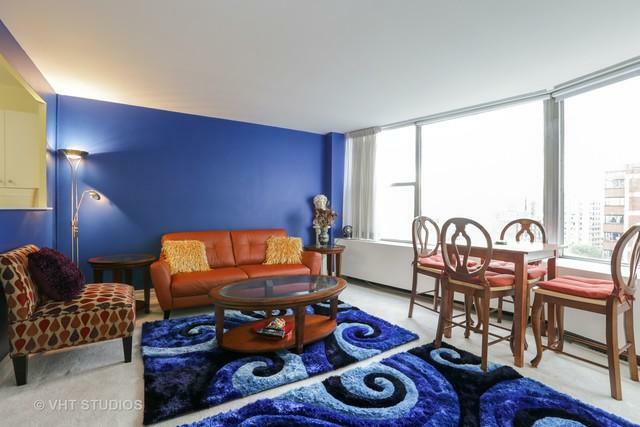 The list of amenities includes TV/cable, 24 hour security, doorman, party room in Penthouse with kitchen, panoramic roof deck, enclosed patio with barbecue grills, bike room, bike & walking trails, and large laundry room. 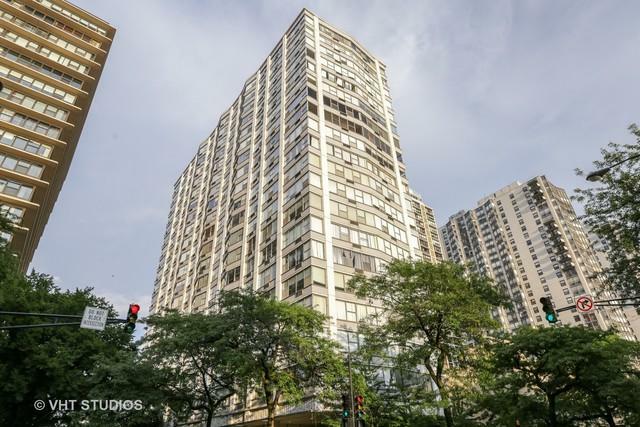 One block from Lake Shore Dr. with bus stop directly in front of building, and close to Red Line train & historic Bryn Mawr shopping district.